Weddings are expensive and there’s a long list of things to organise. Wedding transport should be one of the simpler tasks on your list but with guests coming from out of town, it can be difficult to sort directions for them and make sure they all get to your locations on time. 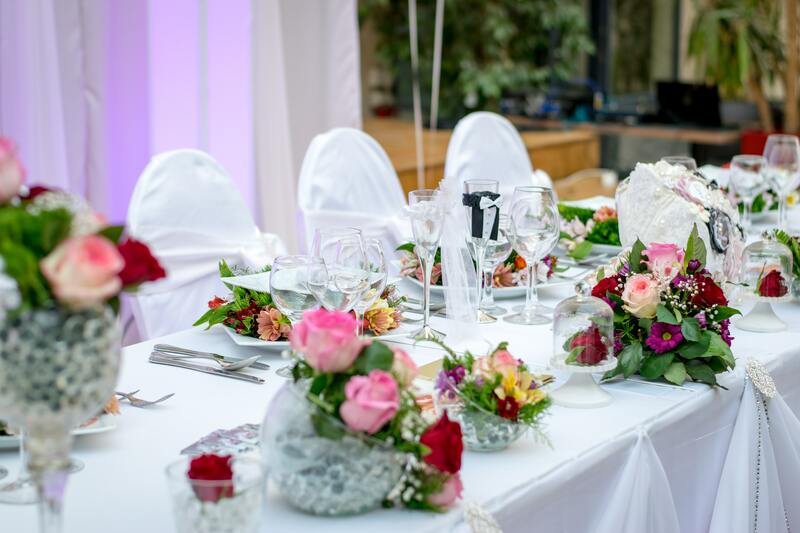 At Coach Hire Comparison we work with bus operators who specifically cater for wedding coach hire, and we can help you find affordable transport solutions for your guests. Take away the stress of making sure everyone makes the ceremony on time and ensure they find their way safely from the wedding venue to your reception. You can also hire a return coach for the evening, so no one needs to worry about driving and you can all relax and celebrate in style. We have vetted a long list of operators who specialise in coach hire for weddings, so if this is something you’re interested in you can use our free price comparison tool to find a series of accurate quotes in a matter of minutes. Simply input the area you are based, the location your wedding is based and the number of guests travelling, and we’ll send you operator details and a price for that journey. You can then work out who best suits your requirements and budget and arrange your booking safe in the knowledge the companies we’ve recommended are all legit and reliable. Our operators offer a wide range of transport options to suit your party size. From minibuses seating up to 8 people, ideal for bridesmaids or bridal parties, to coaches seating up to 70 passengers, ideal for complete wedding parties. The coaches also come with a range of facilities from luxury leather seats, air conditioning, PA systems, music and DVD players, luggage compartments, tables and drinks facilities. The range of coaches available can suit all requirements so when we send you the quotes we’ll also send you details about the vehicles and facilities, so you can choose exactly what you want. As with anything wedding or weekend related, you’re recommended to book early to get the best choice of prices and facilities. While our database is extensive, and we’ll be able to put you in touch with operators at the last minute, if you want to receive the best quotes book as soon as you can. Check with your venues about parking. It’s not unusual for the coach to drop off in the car park or on the road outside the venue so it won’t be a problem but best to check if there are any restrictions for your wedding transport. Give the driver a specific contact for the day. The driver will talk to you beforehand about the schedule for the day, but should a person not turn up, they will want to check whether to wait or go ahead. Put someone in charge of any wedding transport queries on the day just in case any problems arise. Coaches will normally arrive 30 minutes before they need to depart to give people plenty of time to get there and get comfortable. However, when planning your pickup times always tell guests earlier than necessary in case people are running late. Also, your driver will discuss this with you but make sure you plan enough time for the journey especially if guests will be travelling on the motorway or during rush hour traffic. Arrange a pick up and drop off point to suit the majority. You will never suit everyone but choose somewhere that most people can easily get to. For example, guests travelling from out of town may be staying in the same hotel in a city centre, close to this location would probably be ideal. It makes sense for guests familiar with the area to travel to them.